Mold is a fungus that thrives in humid areas. Anywhere where moisture, warmth and darkness converge, there is a high chance of mold. Mold chooses its home without prejudice about any particular surface and is more than an inconvenience to whoever has to deal with it. Not only is mold unattractive, it can be damaging to respiratory health, as well. 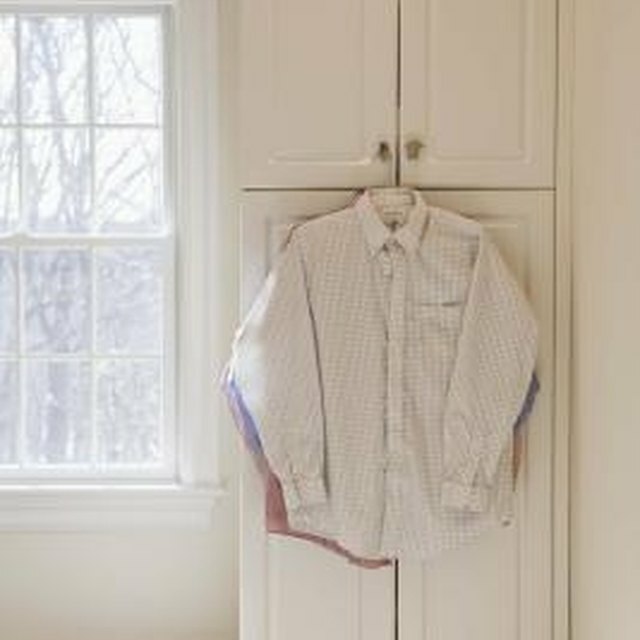 Fortunately, removing mold from clothes is a simple, albeit disgusting, chore with several ways to tackle the problem. Make a paste of lemon juice and salt and use it to scrub the molded area. Set the shirt outside in direct sunlight. Sunlight is great for killing off mold spores. Allow the shirt to soak in the sun for at least two hours before bringing it in to launder as usual. Pour hydrogen peroxide onto a soft, clean cloth and scrub the stained area before laundering as usual. Mix a solution of vinegar and water in equal parts in a spray bottle and spray the mold with it. Allow the solution to sit on the mold for at least 20 minutes before laundering it. Pour 1/2 cup of borax into a cup of warm water and stir it with a spoon until it is dissolved. Use a sponge to saturate the molded area of the shirt and allow it to soak until all of the mold is gone. Repeat if necessary. Apply bleach to the stain with a soft, clean cloth. If the shirt is any color other than white, use color-safe bleach. Allow the bleach to saturate on the stain for at least 10 minutes before laundering. Test each method on an inconspicuous area of the shirt before using it to treat the mold.